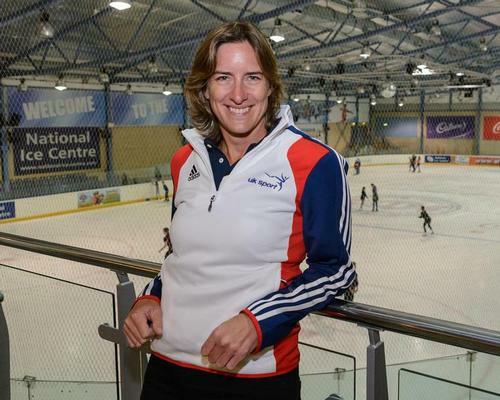 Community Sport Network recently caught up with Katherine ahead of the Winter Olympics. As an ex-athlete, what feelings does an impending Games stir up in you? I am absolutely thrilled to be back at another Olympic Games. This is my first time seeing a Winter Games live, I’ve been an avid supporter of the winter sports for a long time but mostly through the power of television. At this time of year I used to be on a training camp somewhere watching with the rowing team between our own training sessions and the winter sports are so visually spectacular that it was always great to tune in and support the team. But it will be amazing to be able to enjoy it in person and get that extra excitement that live sport brings. It is also a massive privilege to go out and watch what we hope will be the greatest team we have ever had compete on the ice and snow in Korea. There is, and possibly always will be, a part of me that comes to an Olympic Games and wishes I could be competing, but at least at the Winter Olympics I know I could never do any of these events at this level! Team GB has been set the highest ever medal haul target in Pyeongchang. What is the rationale behind that? Sochi 2014 was a breakthrough Olympic Games for TeamGB where we won four medals. In the four year cycle to PyeongChang, we have more than doubled our investment in winter Olympic sports to £28 million. The significant uplift in this cycle reflects the level of ambition and potential performance from the winter sports. The results we have had over the last year demonstrate the strong medal potential we have across the team. We are targeting best ever performances in the PyeongChang Olympics and Paralympics, so ambitions are high as they should be. Where do you see our strongest medal prospects? It’s a fantastic group of athletes so there are medal prospects across the team. That’s really exciting and it is why we have a target of at least five medals. Of course there is a lot of focus on Elise Christie after winning three gold medals at the World Championships last year but she is not the only major medal contender. Lizzy Yarnold is defending champion in skeleton so knows what it takes to deliver a big performance under immense pressure. Our curlers are in great form and our ski and snowboard team have produced medal winning performances across the season so the likes of Izzy Atkin and James Woods are real contenders. We know that the Winter Olympics are a ‘theatre of jeopardy’ because of the level of risk but as a teamGB have arrived in great form which is really promising. What is the difference in the preparation for TeamGB team this time out compared with Sochi 2014? More investment means more support for the athletes. This is really clear in the sport science and medical support provided by both the English Institute of Sport (EIS) and Sportscotland Institute of Sport (SIS). They have done a fantastic job in all areas including research and development, strength and conditioning and performance analysis and that has helped the athletes across the cycle. It is a step up from the Sochi cycle and we hope it can make an impact. How do you encourage the competing athletes to go on and inspire the nation as part of the UK Sport mandate? Our aim is more medals and medallists to inspire the nation so it is at the heart of everything we do. Investment in grass roots and community sport in our country, quite rightly, is much greater than in high performance. However, as the body charged with delivering success at the Olympic and Paralympic Games to inspire the nation, we believe the impact of investing in our athletes’ success has far reaching benefits for the nation. Our own extensive research across a number of years demonstrates clearly that Olympic and Paralympic success instils a sense of national pride, ambition and achievement, that improved facilities for elite athletes benefit local communities and that hosting major sporting events inspires participation and boosts the economy. Another important element of this is we encourage our Olympic and Paralympic athletes to share their inspirational stories of hard work and dedication. This has resulted in more than 24,000 volunteering appearances in local schools and community groups since London 2012. They will continue to do this and it a key part of us working to inspire the nation. On a personal note what has the journey of transition from high profile elite athlete to sitting in one of the hottest seats in sport as Chair of UK Sport been like? Where have the greatest challenges been for you? I am absolutely loving the role. I wasn’t sure how easy I would find the adjustment from boat to Boardroom but there are more similarities than I expected. Leaving a sport is difficult when you are leaving behind a passion, a great team, a constantly engaging challenge and a demanding but rewarding world. To be honest I’ve found all of those things in my role with UK Sport. It’s a joy and privilege to still be working in sport and trying to continue to make a positive impact. It has been great to get out and meet many of the different sports, athletes, coaches and support staff to learn for myself what they are doing and to hear about the challenges they face. I think it is really important to have the strongest relationships possible with NGBs so that is a very important part of the role for me. I have also enjoyed working with the Board which of course is a key role as Chair. We have some big decisions coming up over the next 12 months involving strategy, forward-planning and of course funding decisions. It involves questions of huge consequence so the Board take them very seriously and are highly engaged in the process which makes the role of chairing a pleasure. In addition we have a fantastically committed and experienced executive team and impressive staff throughout the organisation so I feel confident between everyone we can make the best decisions. There have been numerous challenges, which I was aware of before taking up the role. The main three things are ongoing funding challenges, the implementation of the new Governance Code and the Duty of Care piece. There is no quick-fix and they are all ongoing challenges but I am seeing progress in all areas which is crucial. I feel it is important that UK Sport plays a real leadership role where it can and should be ambitious in its vision for sport. I have been very lucky to have enjoyed 20 wonderful years as an athlete thanks to National Lottery funding but I’m also aware from experience that with increased success comes increased pressure and scrutiny. That’s the same for UK Sport and it’s not something to be afraid of, we need to respond and work together to keep making sport a better place.